Find artworks, auction results, sale prices and pictures of Leo Aurelio Marzolo at auctions worldwide. 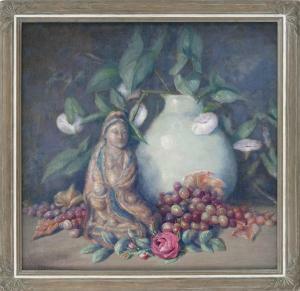 Still life with Guanyin pottery figure and grapes. Signed lower left Marzolo". 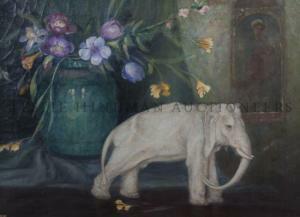 Oil on masonite, 22" x 22". Framed 25" x 25"." 21 1/2 x 29 1/2 inches.